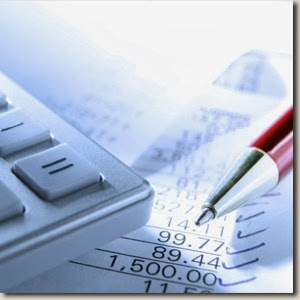 In order to track money within an organization, different types of accounting categories exist. These categories are used to denote if the money is owned or owed by the organization. Let us discuss the three main categories: Assets, Liabilities, and Capital. An Asset is a property of value owned by a business. Physical objects and intangible rights such as money, accounts receivable, merchandise, machinery, buildings, and inventories for sale are common examples of business assets as they have economic value for the owner. Accounts receivable is an unwritten promise by a client to pay later for goods sold or services rendered. Notes Receivables, which are promissory notes by customers to pay a definite sum plus interest on a certain date at a certain place. In other words, cash and other items that can be turned back into cash within a year are considered a current asset. Certain long-lived assets such as machinery, cars, or equipment slowly wear out or become obsolete. The cost of such as assets is systematically spread over its estimated useful life. This process is called depreciation if the asset involved is a tangible object such as a building or amortization if the asset involved is an intangible asset such as a patent. Of the different kinds of fixed assets, only land does not depreciate. Intangible Assets are assets that are not physical assets like equipment and machinery but are valuable because they can be licensed or sold outright to others. They include cost of organizing a business, obtaining copyrights, registering trademarks, patents on an invention or process and goodwill. Goodwill is not entered as an asset unless the business has been purchased. It is the least tangible of all the assets because it is the price a purchaser is willing to pay for a company’s reputation especially in its relations with customers. A Liability is a legal obligation of a business to pay a debt. Debt can be paid with money, goods, or services, but is usually paid in cash. The most common liabilities are notes payable and accounts payable. Accounts payable is an unwritten promise to pay suppliers or lenders specified sums of money at a definite future date. Current Liabilities are liabilities that are due within a relatively short period of time. The term Current Liability is used to designate obligations whose payment is expected to require the use of existing current assets. Among current liabilities are Accounts Payable, Notes Payable, and Accrued Expenses. These are exactly like their receivable counterparts except the debtor-creditor relationship is reversed. Suppose a business borrows $5,000 from the bank for a 90-day period. When the money is borrowed, the business has incurred a liability – a Note Payable. The bank may require a written promise to pay before lending any amount although there are many credit plans, such as revolving credit where the promise to pay back is not in note form. On the other hand, suppose the business purchases supplies from the ABC Company for $1,000 and agrees to pay within 30 days. Upon acquiring title to the goods, the business has a liability – an Account Payable – to the ABC Company. In both cases, the business has become a debtor and owes money to a creditor. Other current liabilities commonly found on the balance sheet include salaries payable and taxes payable. Another type of current liability is Accrued Expenses. These are expenses that have been incurred but the bills have not been received for it. Interest, taxes, and wages are some examples of expenses that will have to be paid in the near future. Long-Term Liabilities are obligations that will not become due for a comparatively long period of time. The usual rule of thumb is that long-term liabilities are not due within one year. These include such things as bonds payable, mortgage note payable, and any other debts that do not have to be paid within one year. You should note that as the long-term obligations come within the one-year range they become Current Liabilities. For example, mortgage is a long-term debt and payment is spread over a number of years. However, the installment due within one year of the date of the balance sheet is classified as a current liability. Capital, also called net worth, is essentially what is yours – what would be left over if you paid off everyone the company owes money to. If there are no business liabilities, the Capital, Net Worth, or Owner Equity is equal to the total amount of the Assets of the business.